It is tempting to aggressively pursue clicks and sales as top priorities when you participate in social media marketing. However, creating awareness and earning trust from the marketplace should be your first point of emphasis, especially on the largest social media platform, Facebook. The following is an overview of some of the most important reasons that Facebook “Likes” matter a lot to the success of your social media strategy. When a person Likes your brand on Facebook, it is a sort of public approval or endorsement for your firm. Given that the vast majority of consumers value the influence of peers, especially when making health decisions, this public display of support offers huge value. The first impression someone has of your profile on a social media channel is heavily swayed by your established connection with others, which is communicated largely by the number of Likes you have earned. A high number of Likes signals that you are important within the Facebook user community. In selling, top sales reps realize that closing a deal is easiest when you build rapport and trust with a prospect. When you do, a person views your recommendation of a solution as a genuine desire to see him resolve a problem. The same point applies in the world of social media. Sharing content that is useful and relevant without immediately attempting to capture a person’s business builds a warm connection. The marketplace views you as a valuable and well-meaning resource before you attempt to earn their business. 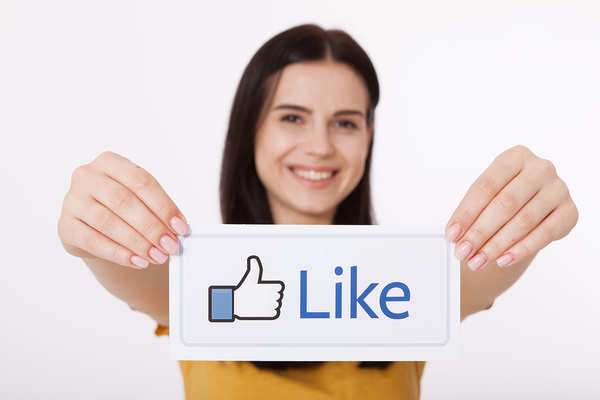 A Like signifies to Facebook that a user has deemed your page and content useful. Thus, Facebook is more comfortable delivering that brand’s ads to a fan more often than it would to someone who hasn’t Liked your page. Similarly, a Like from a Facebook user opens the door for you to connect with friends of your new fan. You can create targeted advertising campaigns that allow you to reach friends of fans in a way that your message appears supported by the person who Liked you. The stronger your connection with people before you attempt to earn business, the greater your clickthrough rate and long-term return on investment become. People typically invest more and more time and money with a firm that they feel cares about them and wants to help them resolve issues. In healthcare, your potential to turn Likes into profits is especially powerful, given the high importance the industry has in affecting the quality of life of patients. Earning Facebook Likes should be your first objective in a social media campaign through this platform. A large fan base gives you a marketplace of people who find your firm and content valuable. These connections set the stage for your practice to attract new business. Response Mine Health can help you create a powerful Facebook campaign to build a large fan base; grow your business today!